Is enough being done to ensure safety of commercial vehicle drivers? 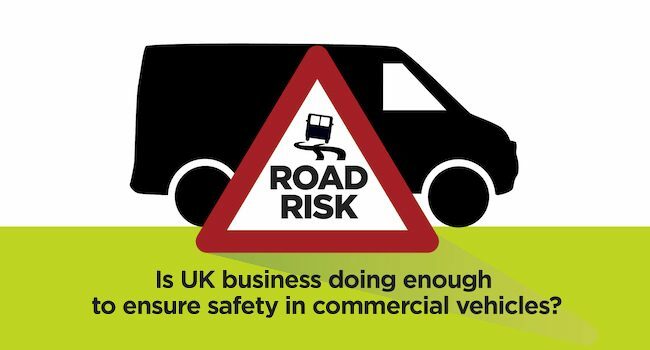 Commercial vehicle operators are clearly aware of their legislative requirements when it comes to the management of road risk. 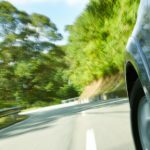 Recent research by TomTom discovered 91 per cent include work-related road safety within overall health and safety policy, while 97 per cent conduct regular vehicle safety checks. Download the report and best practice guide to discover the full extent of the findings. Both clear policy and safety checks are obligatory under Health and Safety at Work regulations, so it is encouraging to see so many companies taking the necessary action. Ultimately, the vehicle is regarded as a workplace, so employers have a duty of care towards their staff in making sure risk related to this environment is minimised – from scheduling regular maintenance checks to ensuring loads are properly secured, not exceeding weight limits. But if operators have a handle on the issue, why are insurance premiums continuing to rise? Almost half of those surveyed say fleet insurance premiums have risen over the past year – a situation which might be avoided through an even more comprehensive approach to risk management. Rather than focusing solely on their legislative requirements, companies would be better served by striving for a best practice approach. Schemes such as the Freight Transport Association’s Van Excellence programme have been forged for this reason, encouraging CV operators to go one step further by guaranteeing the highest possible operational standards. Further than establishing a road safety policy and conducting vehicle checks, this involves a greater examination into the behaviour of the drivers themselves. Currently, a third of all road accidents are believed to be work related and driver error remains the single largest cause of collisions. Only 44 per cent of those surveyed use technology to monitor driver performance but this can act as a particularly powerful mechanism for improving safety, reducing collision rates and controlling insurance premiums. Management are given access to actionable data regarding all aspects of driving performance, allowing them to identify instances of speeding or harsh steering and braking. Real-time feedback also empowers the driver to make changes on the spot, through audible alerts on their in-cab navigation device. Aligned with driver training, such insight becomes even more valuable. The data highlights areas where particular attention is needed, allowing training budgets to be allocated more efficiently and drivers to be coached through any issues they may be having. The result is a safer, more efficient workforce and a significantly reduced risk profile. 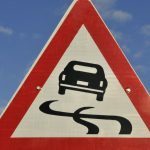 The ability to demonstrate such improvements to an insurer could also mean a reversal of the current trend in premium costs, with a number of schemes now offered to help businesses reduce costs by taking clear steps to reduce risk. Click on the image below to download the full research report and please share our infographic using the share buttons. Just over ten years ago, commercially available mobile broadband changed mobile phones for good. Now in 2014, the same is happening in cars. 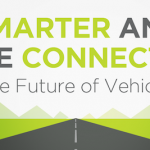 We're witnessing the rise of the connected car. Learn more in our new visualisation. SIRS YES YOUR STORY HAS SOME VALUE,, But the only reason the insurance premiums are going up is entirely,down to greedy insurance companies ,,, who’s only interest is steal as much as is possible from all those who will allow it.. the bosses then blame the drivers ,, who get slagged off for everything. from being downrite lazy .incompetent and so on so the transport manager?? can get out of the firing line from even more greedy top dogs who only care about the sales going up and OFCORSE ,,BONUSSES..
being availed of the truth behind the stories. This article has revealed that bitter truth and whoever brought the real story to light is to be congratulated. I will think more kindly of them in the future in the hope that something can be done to make their working lives and conditions more regulated and pleasant so that us all can do the same. Thanks albert hall, we hope by highlighting this issue that more people will become aware and be inspired to take a look at the best practice that can be implemented to help put it right. We can’t comment on individual experiences, but the facts are that if risk for a fleet is high then the premium will reflect this. However there are ways to work on reducing that risk resulting in a happy, safer more productive workforce – following best practice in this area and furnishing yourself with the information you need to act positively is the approach we would recommend. Why do so many van drivers drive so badly? Are they under pressure to get a large number of deliveries done, so that they take risks? I ask this with some feeling, having had a van pull out of a secondary road right in front of me late this afternoon. I should have beeped my horn but was so taken aback that I didn’t. I had my headlights on, so he clearly must have seen me. Anything that can improve standards will be welcomed by the many motorists who have been cut up or dangerously tailgated or recklessly overtaken by van drivers. All vans should be fitted with 62 mph (100 kph) speed limiters, currently available as an option for about £50, it saves on fuel consumption, wear & tear, yes I am a van operator. This is a highly dangerous article that may encourage more damned vehicle related legislation; and we can well do without that. We see every single day, the dreaded “white Van Man” flying along our narrow access restricted lane at speeds far above the sensible; then any blockages and the drivers then start demolishing walls making “U” Turns. No matter what improvements are made to the Vans, just how do you improve the driving of these? Make sense, for these ideas certainly do not?